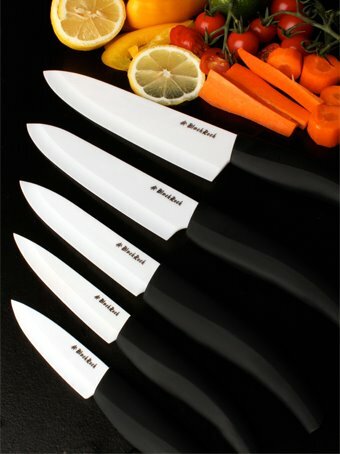 So there I was Twittering away when Black Rock Knives tweeted about the benefits of ceramic knives over your trusty stainless steel blade. Now being a Jack Russell I was sceptical as ever and being the proud possessor of a set of Michael Chiarello’s NapaStyle Santoku knives that I could shave my coat off with I challenged their assertion. Well low and behold two days later the postman brought a Black Rock Knife to my kennel…..what’s the chances! Now it’s Jack Russell by breed inquisitive by nature so I went and grabbed the nearest yellow pepper and started slicing…..and low and behold they’re probably the sharpest knife in the box! If you’re looking to julienne paper thin then one of these bad boy’s is for you. Click here for the full interactive review on Ralph’s Life On Tour…..